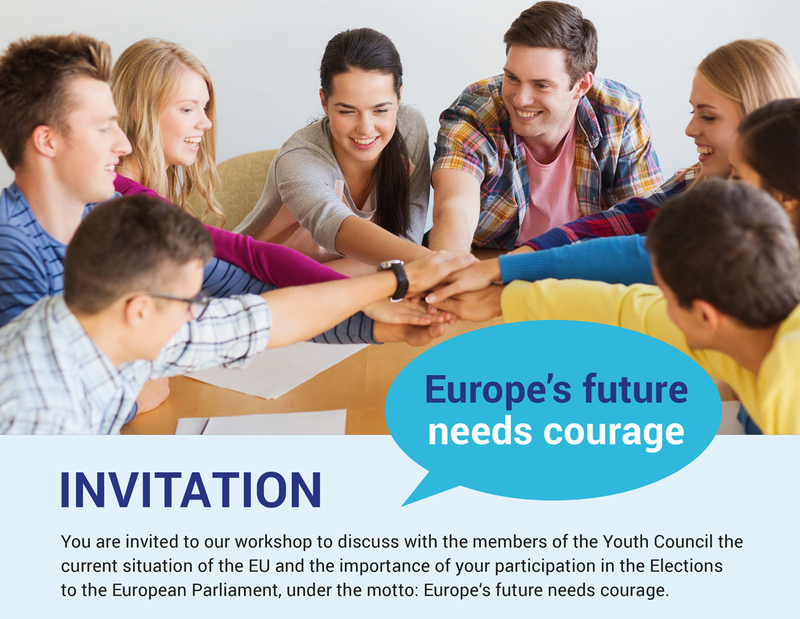 The workshops are two-days events intended to provide an insight into what kind of problems Europe is facing now and how young people can discuss about it and express their opinion about the different European countries. Since the next European elections will take place at May 26, 2019 we have started with a new workshop concept in order to challenge all the participants to think in a critical way. Afterwards, in order to reach as many people as possible, we will make use of Social Media to raise up the voices of the youth. On the first day, the so-called “Europe-Day” the students get the chance to meet members of the current Youth Council, those who were themselves participants of former workshops some years ago and who are now studying at several universities in Europe. They will prepare some speeches regarding three diverse aspects of the European politics. Afterwards there will be enough time for questions and answers as well as for discussion. In order to develop a team spirit between the participants, there will be a cooking-session where all of them will have the chance to get together, exchange ideas and get to know new friends. designing buttons with interesting claims that can be distributed at school and with their families.